The extraordinary alliance between the date, the coffee and the cardamom in this recipe will delight your taste bud, and take you to a journey far away! Date 65 %, water, sugar can 10 %, grenade syrup, coffee 0,3 %, concentrated lemon juice, cardamom. 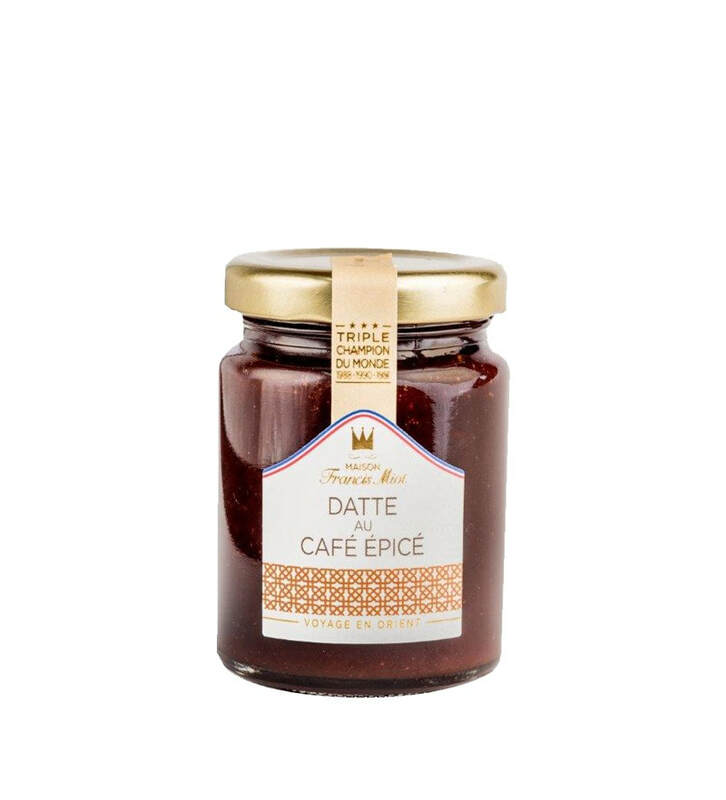 As a dessert or for breakfast, this fruit preserve with its beautiful amber color will make you travel through the magic of the Middle East!